The embedded calendar below is intended to show when Lead Volunteers will be on-site to work with newcomers. If you’d like to visit outside of these hours, please comment on our Our Forums or call and ask. 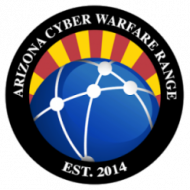 Upon entry to the AZ Cyber Warfare Range, you will need to sign-in to the entry log. Remember, you must also sign-out upon departing the AZCWR.